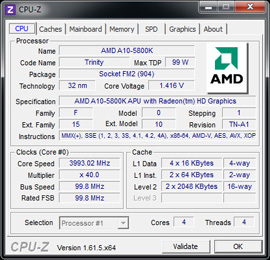 After years of waiting, AMD finally unveiled its Llano APU platform fifteen months ago. 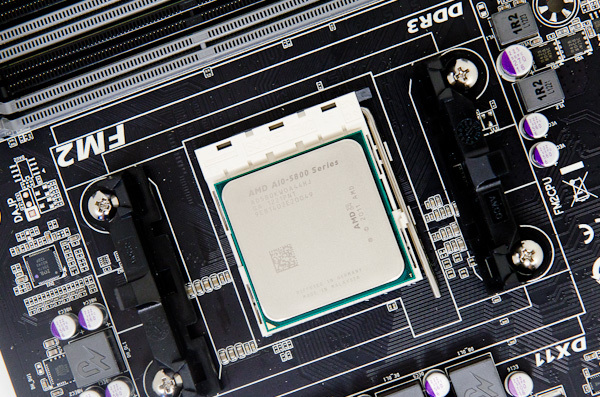 The APU promise was a new world where CPUs and GPUs would live in harmony on a single, monolithic die. Delivering the best of two very different computing architectures would hopefully pave the way for a completely new class of applications. That future is still distant, but today we're at least at the point where you can pretty much take for granted that if you buy a modern CPU it's going to ship with a GPU attached to it. 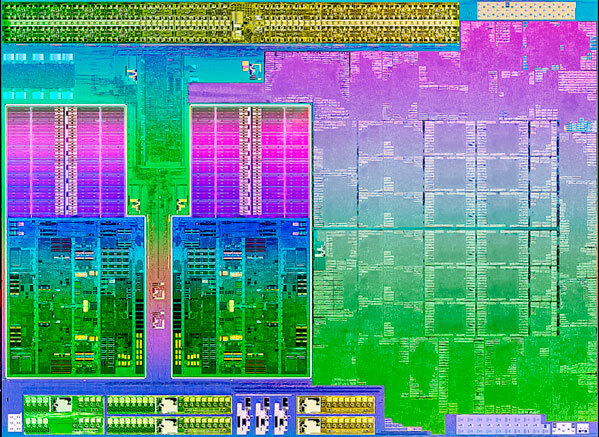 Four months ago AMD took the wraps off of its new Trinity APU: a 32nm SoC with up to four Piledriver cores and a Cayman based GPU. Given AMD's new mobile-first focus, Trinity launched as a notebook platform. The desktop PC market is far from dead, just deprioritized. Today we have the first half of the Trinity desktop launch. Widespread APU availability won't be until next month, but AMD gave us the green light to begin sharing some details including GPU performance starting today. We've already gone over the Trinity APU architecture in our notebook post earlier this year. As a recap, Piledriver helped get Bulldozer's power consumption under control, while the Cayman GPU's VLIW4 architecture improved efficiency on the graphics side. Compared to Llano this is a fairly big departure with fairly different CPU and GPU architectures. Given that we're still talking about the same 32nm process node, there's not a huge amount of room for performance improvements without ballooning die area but through architecture changes and some more transistors AMD was able to deliver something distinctly faster. Remember the CPU cores we're counting here are integer cores, FP resources are shared between every two cores. Clock speeds are obviously higher compared to Llano, but Bulldozer/Piledriver did see some IPC regression compared to the earlier core design. You'll notice a decrease in GPU cores compared to Llano as well (384 vs. 400 for the top end part), but core efficiency should be much higher in Trinity. Again AMD isn't talking pricing today, other than to say that it expects Trinity APUs to be priced similarly to Intel's Core i3 parts. Looking at Intel's price list that gives AMD a range of up to $134. We'll find out more on October 2nd, but for now the specs will have to be enough. The desktop Trinity APUs plug into a new socket: FM2. 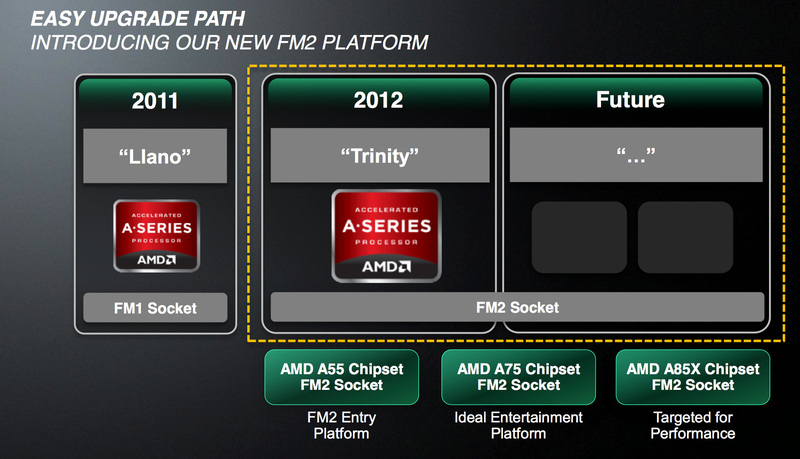 To reassure early adopters of Llano's Socket-FM1 that they won't get burned again, AMD is committing to one more generation beyond Trinity for the FM2 platform. The FM2 socket itself is very similar to FM1, but keyed differently so there's no danger of embarrassingly plugging a Llano into your new FM2 motherboard. AMD both borrows from Llano as well as expands when it comes to FM2 chipset support. 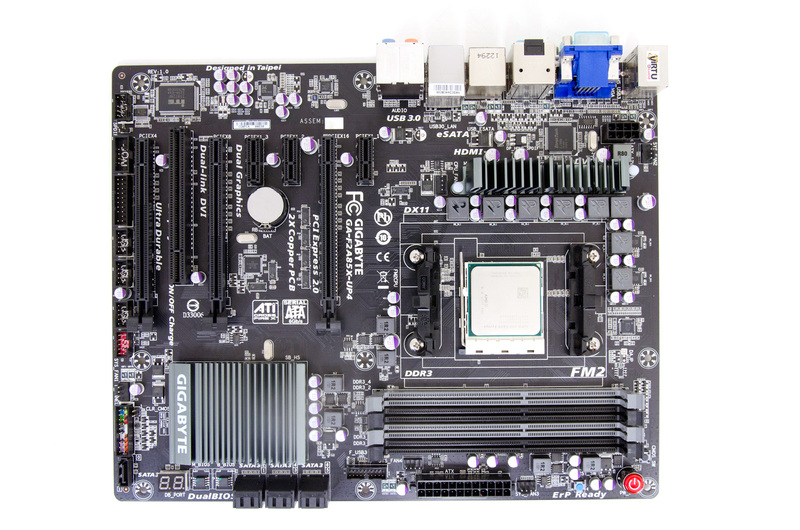 The A55 and A75 chipsets make another appearance here on new FM2 motherboards, but they're joined by a new high-end option: the A85X chipset. The big differentiators are the number of 6Gbps SATA and USB 3.0 ports. On the A85X you also get the ability to support two discrete AMD GPUs in CrossFire although obviously there's a fairly competent GPU on the Trinity APU die itself. As I mentioned earlier, AMD is letting us go live with some Trinity data earlier than its official launch. The only stipulation? Today's preview can only focus on GPU performance. We can't talk about pricing, overclocking and aren't allowed to show any x86 CPU performance either. Obviously x86 CPU performance hasn't been a major focus of AMD's as of late, it's understandable that AMD would want to put its best foot forward for these early previews. Internally AMD is also concerned that that any advantages it may have in the GPU department are overshadowed by their x86 story. AMD's recent re-hire of Jim Keller was designed to help address the company's long-term CPU roadmap, however until then AMD is still in the difficult position of trying to sell a great GPU attached to a bunch of CPU cores that don't land at the top of the x86 performance charts. It's a bold move by AMD, to tie a partial NDA to only representing certain results. We've seen embargoes like this in the past, allowing only a subset of tests to be used in a preview. AMD had no influence on what specifics benchmarks we chose, just that we limit the first part of our review to looking at the GPU alone. Honestly with some of the other stuff we're working on I don't mind so much as I wouldn't be able to have a full review ready for you today anyway. Our hands are tied, so what we've got here is the first part of a two part look at the desktop Trinity APU. 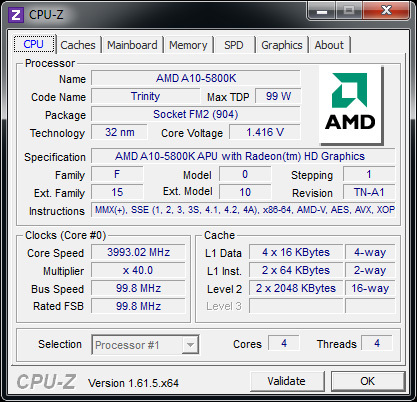 If you want to get some idea of Trinity CPU performance feel free to check out our review of the notebook APU. You won't get a perfect idea of how Piledriver does against Ivy Bridge on the desktop, but you'll have some clue. From my perspective, Piledriver seemed more about getting power under control - Steamroller on the other hand appears to address more on the performance side. We'll get to the rest of the story on October 2nd, but until then we're left with the not insignificant task of analyzing the performance of the graphics side of AMD's Trinity APU on the desktop. 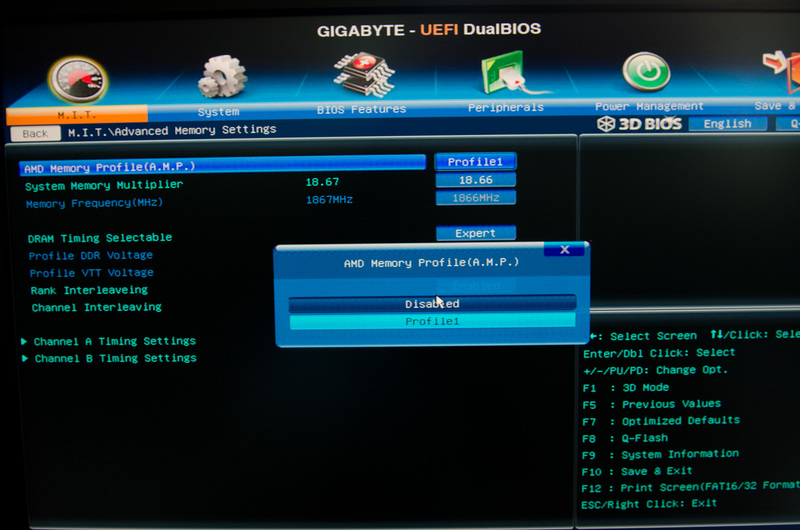 AMD sent over a Gigabyte GA-F2A85X-UP4 motherboard along with an A10-5800K and A8-5600K. 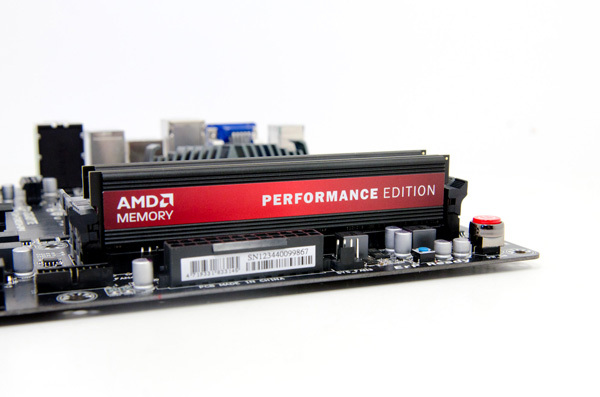 The board worked flawlessly in our testing, and it also gave us access to AMD's new memory profiles. A while ago AMD partnered up with Patriot to bring AMD branded memory to market. AMD's Performance line of memory includes support for AMD's memory profiles, which lets you automatically set frequency, voltage and timings with a single BIOS setting. We've always done these processor graphics performance comparisons using DDR3-1866, so there's no difference for this review. 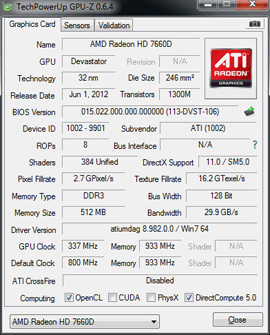 The only change is we only had to set a single option to configure the platform for stable 1866MHz operation. Processor graphics performance scales really well with additional memory bandwidth, making this an obvious fit. 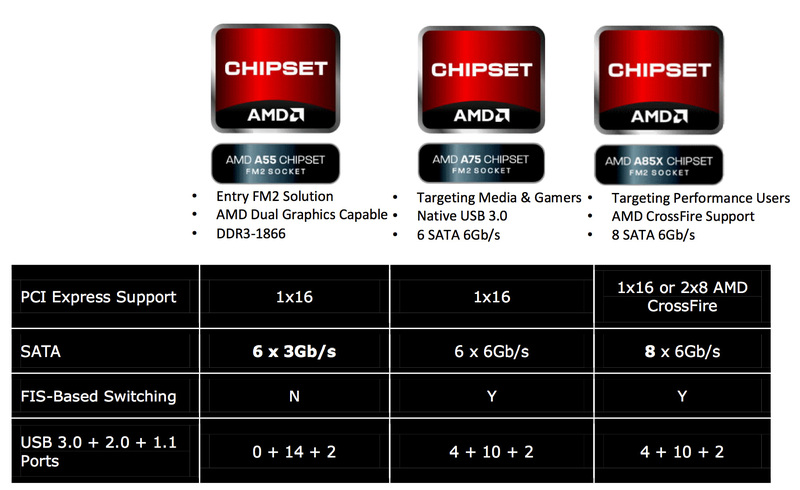 There's nothing new about memory profiles, this is just something new for AMD's APU platform. What are you talking about? AMD is just now lifting the NDA on the Trinity A10-5800K & A8-5600K desktop CPUs (and even then, sites can only talk about GPU performance). That was because of AMD's lousy yields and contracts which prioritized access of the supply to the likes of HP and Acer over the retail channel.